Eastern Pike Regional Police, PA and Port Jervis City Police, NY partner to promote increased seat belt awareness in national campaign. 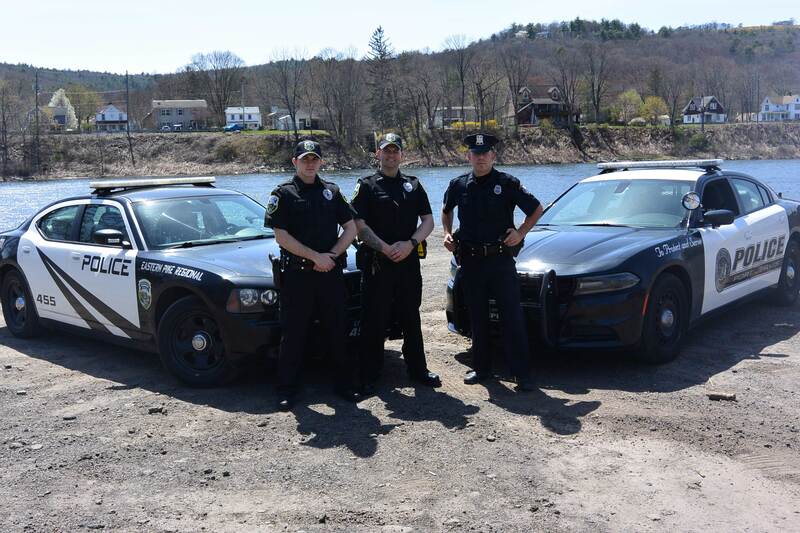 As motorists take to the roads this Memorial Day holiday, Eastern Pike Regional Police and Port Jervis City Police are urging everyone to buckle up. Beginning May 21st, law enforcement officials will be out in full force targeting day and night safety belt use, taking part in the 2018 national Click It or Ticket seat belt enforcement mobilization and cracking down on motorists who are not belted. At 4:00 p.m. on May 21, Eastern Pike Regional Police and Port Jervis City Police will join law enforcement agencies across nearly half of the United States in mobilizing the Click It or Ticket (CIOT) “Border to Border” Operation. Law enforcement agencies will join forces to provide increased seat belt enforcement at State borders, sending a zero tolerance message to the public: driving or riding unbuckled will result in a ticket, no matter what State. According to the U.S. Department of Transportation’s National Highway Traffic Safety Administration (NHTSA), 9,580 passenger vehicle occupants killed in 2013 were not wearing their seat belts at the time of the crash. And unbelted fatalities are more prevalent at night than during the daytime: 59 percent of those killed in 2013 during the overnight hours of 6 p.m. to 5:59 a.m. unbelted at the time of the crash. From 2008 to 2012, seat belts have saved nearly 63,000 lives nationwide. So while this year’s Click It or Ticket enforcement mobilization runs from May 21 – June 3, officers will continue to save lives by enforcing seat belt laws year-round. Photo: Port Jervis City Police Dept, NY and Eastern Pike Regional Police Department, PA- West End Beach, Port Jervis overlooking Matamoras, PA and the Delaware River.